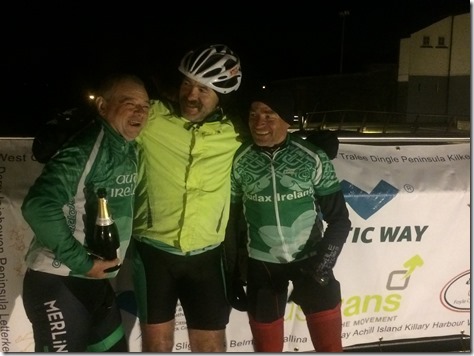 Congratulations to Eamon Nealon, Jim Fitzpatrick and Seamus O’Dowd on completion of the 2100km Wild Atlantic Way Audax. According to tracking (http://maps.opentracking.co.uk/wildatlanticwayaudax.cfm ) they got in to Derry @ 1:30 am this morning. William Dickey waited up to capture the moment. Eamon is looking to borrow a drone for WAWA. Please contact him if you have one. Thanks. Can anyone who has any inflatable mattresses during mid June please contact Eamon – (Eamon nealon eamonnealon@hotmail.com). Reminder-Club Kit order open, but closing soon ! Niall on a long overdue update …. Pawel Bommersbach on a long overdue update ….